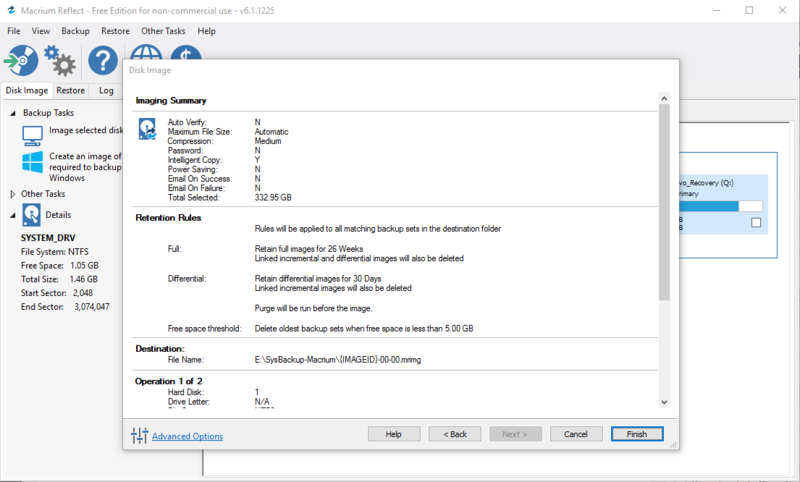 Macrium Reflect is a rich features backup and cloning software for Windows. 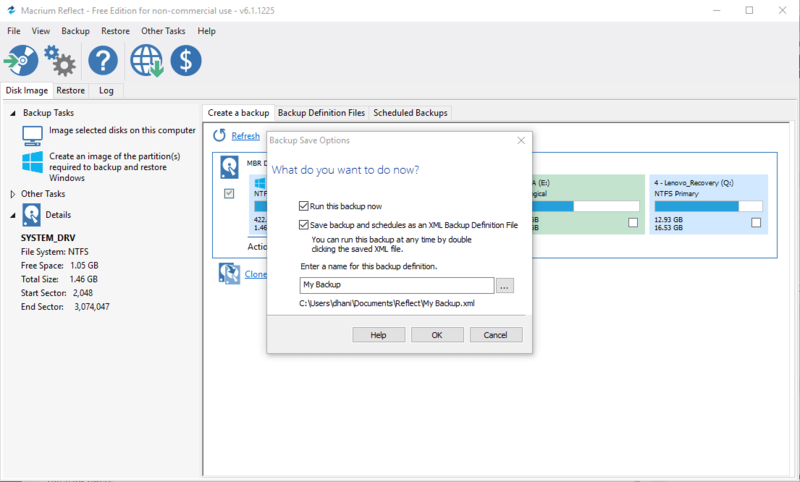 Its a professional (paid) backup software for Windows but it also offers free version. 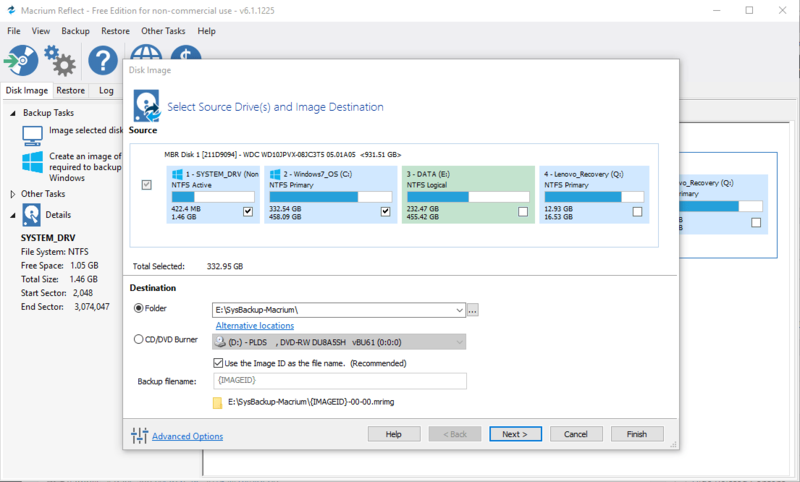 And here I will show you how to backup Windows 10 using Macrium Reflect. You may download Macrium Reflect installation file from the official website here. Macrium will automatically detect which disk that contains Windows system and automatically select it. Next, specify the backup destination. Then, we need to modify the backup plan. 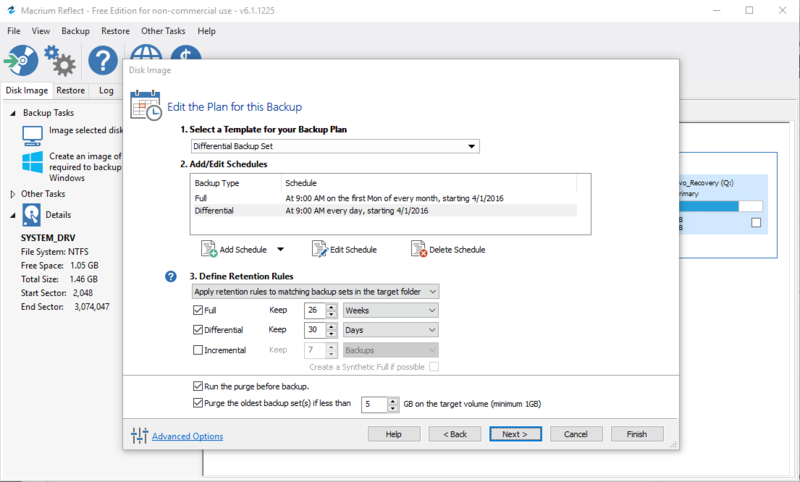 On this section, we can select a template for the backup plan. But we can also specify our own. Finally, the backup process can be started.